In today’s era, it is very important for startups to be present where their audience are and engage with them. You can reach your tech-savvy audience through various channels of digital marketing. 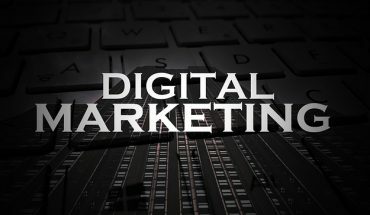 To get better results, In this post –ABC’s of Digital Marketing for Startups, I have written an easy guideline and some essentials of digital marketing which digital marketers should focus on. It will help in achieving your business objectives more smartly in this challenging era of Digital Startups. A line of text used to describe the content associated with a non-text based file, typically an image. Use keywords in these attributes to get high rankings on your pages. Brand awareness should be the first thing in building advertising objectives. Try local awareness ads on facebook to reach out more audiences. Making people aware that you exist will help you to drive more traffic and thus create a buzz in the market! Try CPA ads and analyse the results from each ad. Keep your CPA less than Rs. 40. Dynamic retargeting Ads are shown to those users who have already been to your site containing images and information about the exact item they viewed. Email marketing saves your budget & increase brand recognition. Email marketing helps you to stay in touch with your audience on a regular basis, keeping you top of mind and at the tip of their tongue. To engage with the audience on social media don’t bore them. Did you know 97% of the content shared on facebook are entertaining? Use geo-targeting ads to reach your potential customers by their physical location. The major search engines now all offer the ability to geo-target searches in their Pay-Per-Click campaigns by viewing their IP addresses. HTML heading tags are critical components of SEO, as often times both are graphical, thereby unreadable to search engine spiders. Page titles should be included to define the page’s purpose and theme. All of the header tags should be used according to their relevance, with more prominent titles utilising <h1>, subheaders using <h2>, and so on. Instagram offers three different formats for advertising on the platform. Photo Ad, Video Ad & Carousel Ad where you will get a good number of reach in less budget as compared to facebook reach. Be sure to play detective and research keywords for each platform you’re using because audiences can vary from platform to platform. Advertising on LinkedIn is important because it targets a more professional realm than other social media sites. There are also different advertising formats that you can choose from. You can advertise with image ads, video ads, or with a simple text ad. Also called meta-data, this information found in HTML page headers used to be the bread and butter of SEO marketing tactics. Natural Listings also called “organic results” is the non-advertised listings in Search Engines. Some search engines may charge a fee to be included in their natural listings, but most of them are free. Website ranking depends on many factors and natural listing is one of them. Links on any Web page leading to another Web page, whether they are within the same site or another website. Outbound links are important as they will help you to reach wider audiences. Pop-up ads are forms of online advertising on the World Wide Web intended to attract web traffic or capture email addresses. It will help you to capture more email addresses, which will be important for generating good contact lists and customer data. Quality Score in Google Adwords used to calculate ratings of your keywords. If your Quality score is less than 5 then change your keyword or bidding accordingly. Google Adwords and Facebook Ads both will provide you with the option of retargeting, retarget your user using these two channels. You will always have competitors when it comes to startups, but retargeting can help you be one step above everybody. Search engine optimisation or SEO, in short, is a set of rules that can be followed by website (or blog) owners to optimise their websites for search engines and thus improve their search engine rankings. It will lead you to increase your organic conversions. Twitter now offers a lot of advertising ads, including Promoted Tweets, Promoted Accounts, Promoted Trends, and Keyword Targeting in Timelines. Twitter is very different as compared to facebook when it comes to targeting. If you are new to Google Adwords try running UAC campaigns. Universal app campaigns run ads across the Google Search Network and the Display Network, including Google Play, within other apps, and on YouTube. These campaigns generate your ads based on your app listing in the Google Play Store, a few independent lines of text, and an optional YouTube video link. Every founder or co-founder has a dream to make startup going viral. But the truth is you never know what could go viral these days, the internet is weird like that. To list your startup at #1 in Search ranking, it very important to optimize your website properly. The majority of search engines users are more likely to choose one of the top 5 suggestions in the results page so to take advantage of this and gain visitors to your website or customers to your on-line store you need to rank as higher as possible. XML Sitemaps are important to crawl your website and indexed by search engines. Based on your website data, search engines include pages in their search index, which means that page can be found by users. Website crawlability is its accessibility for search bots. You have to be sure that search bots will be able to find your website pages, obtain access and then “read” them. YouTube has become an extremely important component of digital marketing.YouTube has an important role to play in terms of discovery as well as in the final stages of a buying decision. Using the z-index property of CSS allows you to better control the positioning of overlapping elements. This element is sometimes used for black hat SEO purposes. 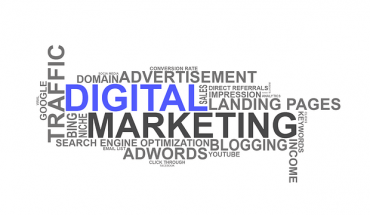 These were some of the ways that will definitely help you in achieving your digital marketing goals. One needs to remember that there is no substitute for organic white hat techniques in the digital world. Hard work and patience will undoubtedly yield results. One should not get into the trap of Black hat techniques for digital marketing in order to get quick results eg.buying backlinks in order to rank high on google search index. Google will invariably punish you for this. Likewise, achieving your SEO goals in a shady way can result into not getting ranked at all. 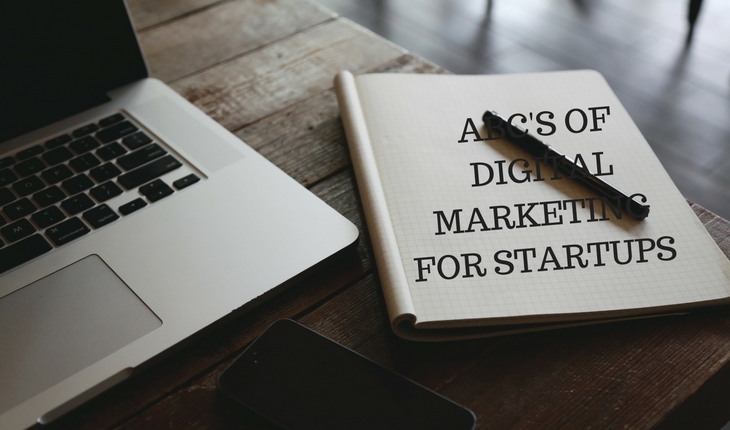 Did you like the ABC’s of Digital Marketing for Startups or do you have other suggestions in your mind? Do let us know.